I always believe that the face is the most sensitive part of the skin. It differs from one persons' skin to another. Skin differentiation also comes with gender, age, lifestyle, and most especially skin type. Skin type can be defined as oily, dry, sensitive and also can be a combination of any of the types mentioned. As you age your skin will be going through its course, one can always result to getting prevention by using products to lessen skin aging or medically consulting a dermatologist where they can help you with procedures to prevent skin aging. Thirty years ago my biggest concern was pimples which were always associated with puberty. I saw this ad in the television about Eskinol facial cleanser, this I guess was the only local brand of facial cleanser that was being promoted that time, compared to now, hundreds of different products and brands are being introduced in the market for consumers to buy. I remember buying my first ever bottle of Eskinol the smallest one and got the money to buy that from my allowance, around P12 ($0.25) or even lesser. Today, since I have a budget for it, I always buy the biggest bottle, which I can use for months and more economical. 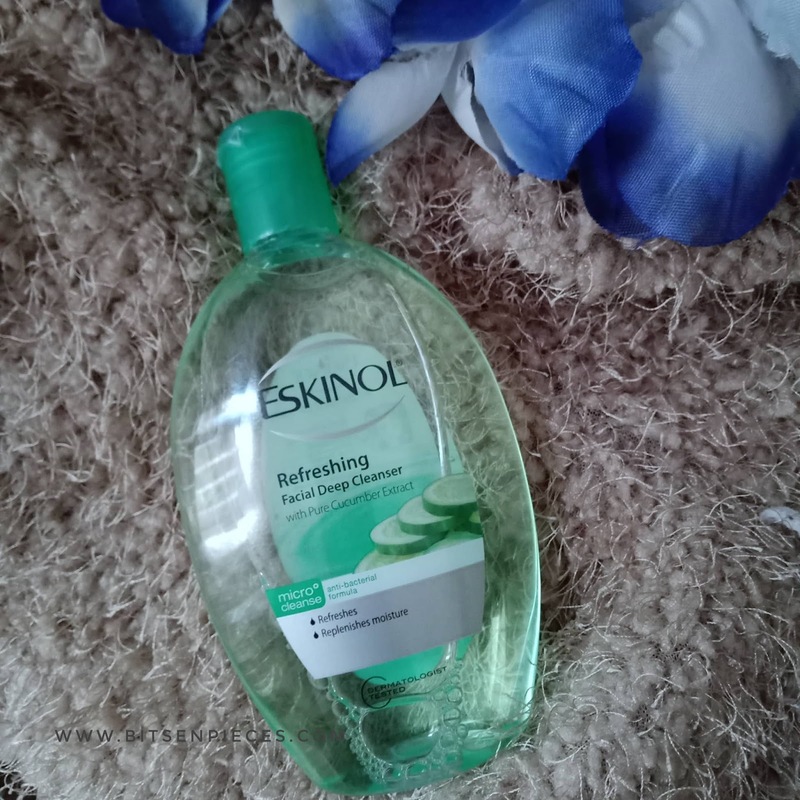 What I love about Eskinol it refreshes my face after removing my make-up, it deep cleanses the skin especially in the eye area and the side of the nose which often creates skin problems like blackheads and whiteheads. Using cotton balls or cotton pads I can see dirt from make-up. The only downside of using this as make-up remover in the eyes it stings, so I always avoid and always careful when rubbing the eyes with the cotton soaked cleanser. Up until now, Eskinol has been my go-to facial cleanser, it is always included in my skin care regimen most especially now that I am wearing make-up almost every day. During the weekends and I don't have work I always cleanse my face 2-4 times excluding the bath time. One in the morning, after waking up with facial wash and water and cleansing the face with a cotton ball with Eskinol concentrating in the T-zone, are, and followed by a pea size of moisturizer and I am set for the morning. When I get busy with house chores I dab my face with splashes of water in the bathroom sink and bath time in the afternoon, and sometimes in between the mid-afternoon to early evening. It became my skin regimen to include Eskinol cleanser because that is the only way I feel that my skin is refreshed and cleansed. It never leaves dryness to my face. This is why I love Eskinol. What are the Benefits of Niacinamide Serum? Mrs Renfro's So Many Ways To Salsa Giveaway!